A multimedia presentation of the movie The Wizard of Oz, accompanied by your SOST! 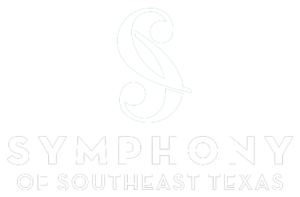 The Symphony of Southeast Texas will be embarking on its 67th season. The SOST is a regional, professional orchestra based in Beaumont, Texas. The Symphony performs a number of subscription concerts, educational programs and other concerts throughout Southeast Texas each year. SOST’s home base is the Julie Rogers Theatre in downtown Beaumont. The orchestra is composed of local musicians from the Beaumont vicinity, as well as many musicians from the Houston and Lake Charles areas. For information on SOST’s concerts this season, please check our website at www.sost.org or call the Symphony Office at (409) 892-2257. How Do We Keep Exciting Symphonic Music Playing? 16% - Endowment, Grants, etc.